This level has medium difficulty. For this level try to play near to blockers or make special candy like striped candy as you get the chance. 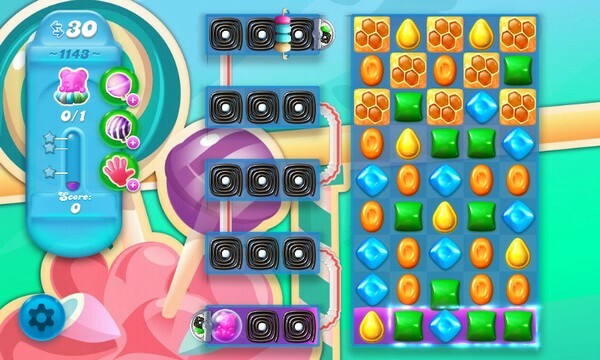 Combine them with each other to break more blockers or use more striped candy to move bear and take them to the top. Fifth row down, middle square is now an open hole, so you can’t match candies there, making it really hard level to get to the soda bottles on the top right half of the board. I have no idea how to play this level, at the end all the liquorice is still there and the bear is still at the bottom, seems impossible, it’s boring and a waste of time trying.